Are you looking for self help books that can guide you through some of the struggles you're experiencing dealing with a loved one's gambling addiction problem? While face-to-face programs like Gam-Anon, and Therapy are excellent tools, there are also some excellent books available to compliment these other self-help treatment techniques. Below is a list of self help books that I've either read, or books that have come highly recommended by either gambling addiction professionals or people who are struggling with the problem and have found these books helpful. If there's a book that's not listed that you've personally read and highly recommend, please let me know by using the Contact form. Also, if you have any feedback about any of the books listed (good, bad, or otherwise), please feel free to use the comment section at the bottom of this page to share your thoughts; you can comment using your Facebook, Yahoo, AOL, or Hotmail account. This book was written specifically for the spouses, friends, and loved ones of problem gamblers. I can't express enough how insightful and helpful this book is. It really is a must read for anyone who's struggling with a gambling addiction problem in their family. People in relationships with addicts often struggle with codependency. 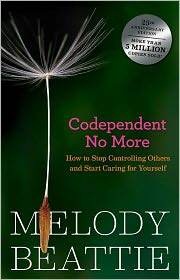 This book is a great resource to learn about what being codependent actually means, determine whether you have this issue, and how to manage it. This book is a sequel to Codependent No More. It moves beyond the basics towards the mastery of self-care. Once the initial pain has subsided, this book takes you to the next level in dealing with recovery and relapse on your journey to self-improvement. By: Diane Rae Davis, Ph.D. 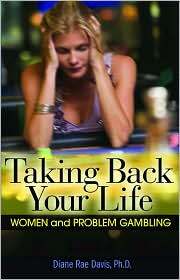 This book was written by a woman, using women research subjects, for women struggling with a gambling addiction. However, if your wife or a female loved one in your family is affected by a compulsive problem gambling, this book provides excellent insight for you as well. Please Note: The links to websites where you can buy these self help books (ex. Barnes & Noble) are affiliate links, which means that if you click over and end up buying a book, I get a commission. For example, in the case of Barnes & Noble, I get a 6% commission. Please note that the price of the book does NOT change at all because you're linking over from this site, but rather, the retailer pays me from their normal revenue from the sale of the book(s). Of course, you're more than welcome to buy the book from any store that's most convenient (and cheapest!) for you. I use these affiliate links to help earn revenue from the site so that I may continue working on building it out. This note is here simply in the spirit of full disclosure, so please buy any books of interest from the place that makes the most sense for you!